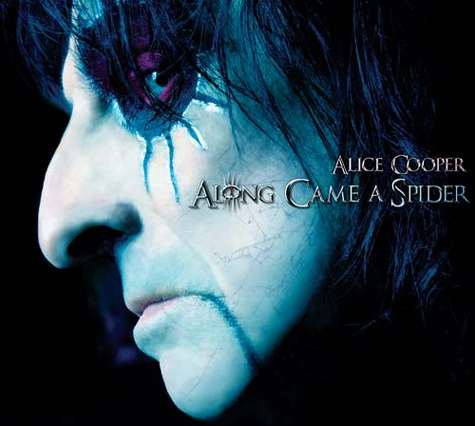 Along Came A Spider is a concept album. It tells the story of a serial killer named Spider. I think. There’s some twists and turns throughout the tracks that has me still trying to grapple what’s going on. And that’s a great thing. This is not a straight forward, shock value story. Who is Spider? Is he responsible for these murders? Did the murders actually happen? What is the connection between Spider and Steven, the young boy who shows up from time to time in Alice’s work? (Steven was the protagonist in Welcome To My Nightmare and has shown up several times since). Musically, I found this a very solid album. The tracks work well together and feature some catchy and memorable lines. Unlike in some previous Alice concept albums, I didn’t feel like there was a song that ripped me out of what was happening and didn’t fit in (Killed By Love came close musically, but lyrically and thematically it is important to the story being told, so it works for me). Two songs in particular have grabbed my attention: Vengeance Is Mine and Salvation. Vengeance Is Mine is a great track with some fantastic guitar work from Slash. As I was reading my Bible the other night, I noticed something. The words “Vengeance is mine” were right in front of me. Deuteronomy 32:35 – “Vengeance is mine, and recompense, ﻿for the time when their foot shall slip; for b﻿the day of their calamity is at hand, and their doom comes swiftly.” Here, God is saying that it is his job, and his job alone, to deal out vengeance. It got me thinking. When Alice is singing “To forgive is divine, but vengeance is mine”, what is going through the head of Spider? Is he elevating himself to godhood? Is he taking on a job that belongs to God alone? Does he feel like the murders he commits are holy and righteous? This ambiguity intrigues me. Salvation is a song of lament. Spider wonders if he can receive forgiveness for what he has done. He recognises that he may be up for punishment for the deeds he has committed. There’s doubt and uncertainty. In the chorus, he sings “Any chance of salvation, any chance for me? Any chance of salvation for eternity? Any chance of salvation? Someone died for me? Washed in blood he cared enough to pity me.” The answer is yes and no. Yes, there is someone who died for all of us. Someone who shed their blood so that we may be saved from the punishment for our wrong doings. And this salvation is open to everyone, including a serial killer like Spider. People often struggle with the concept that an evil man like Spider could ask God for forgiveness and receive it. However, there’s a catch here. I don’t think Spider is really repentant. I don’t think Spider believes that he has done anything wrong. I don’t think Spider wants to be saved. To receive the free gift of salvation that Jesus has offered us, we need to accept it. If you don’t accept it, if you don’t recognise that you need to accept it, then you don’t get it. Yes, Spider, there is a chance. There is a chance that someone died for you. But if you want it, you need to accept it. As I continue to listen to Along Came A Spider (and I most definitely will be), I’ll continue to put together my thoughts. I may even have a better idea of what’s going on. But even if I never work it out, I’ll enjoy it none the less. Thanks for putting this out there. I have been getting every one of his albums since “The Last Temptation.” The first three were musically and lyrically fantastic (The first is the best, in my opinion.) Then he put out “The Eyes” which just seemed like “I want to do an old Alice cooper album but not include the bad stuff that no longer fits with my new life.” and thus it was bland. Then Dirty Diamonds was a lot of fun. This one seemed pointless from the clips and things I had seen. Thanks for explaining what was going on. I will have to check it out! Last Temptation was my first Alice album too. The whole idea that it was one big story really appealed to me. This is a great album and I went to the tour that followed, front row. This also has connections not only to Steven in “Nightmare” but Rozetta in “From the Inside” (which is my favourite Alice album). Thanks for pointing out the Deuteronomy connection – his dad was a lay preacher, maybe it is intentional? ?